Hello, WeAllSew readers! 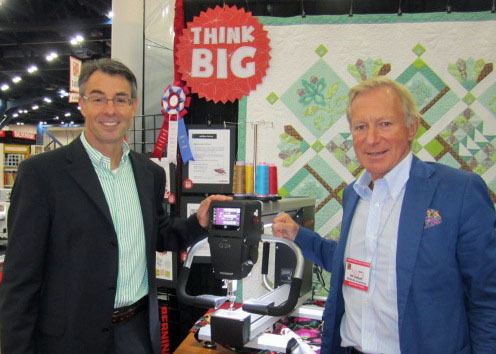 I recently had the opportunity to attend the Original Sewing and Quilting Expo in Overland Park, Kansas. Amid the shopping….fabrics, books, patterns, notions and machines…an on-going lecture series was held on the Expo Stage. Thirty-minute segments of information on a wide range of topics including Modern Quilting, Fitting, Embroidery Stabilizer Basics, and so much more! A personal favorite at the show was a unique quilt exhibit entitled “Quilt as Desired,” curated by Mary Kerr. 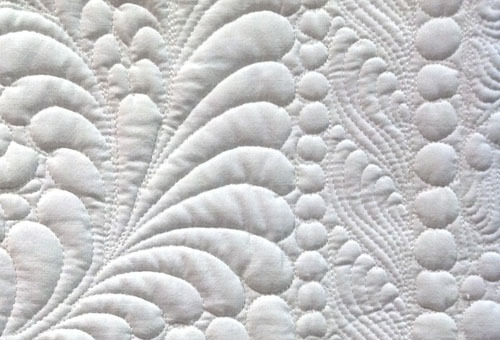 The exhibit is comprised of vintage quilt tops quilted by select long arm quilters. The visual texture and detail in the quilting was incredible. 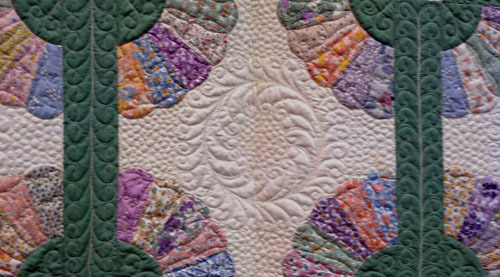 Each quilter did a tremendous job of blending the feel of the vintage top with his/her style. For more information on the Quilt as Desired exhibit, visit Mary’s website marywkerr.com. Deciding how to quilt the quilt top is key to the finished look of the quilt…do you want something with a formal, heirloom effect, a modern flavor, fun and whimsical? I like to place my completed tops on a design wall and look at them for a while before committing to a design. Often areas of the quilt will call out right away for a particular motif/effect while others take a bit longer to evolve. 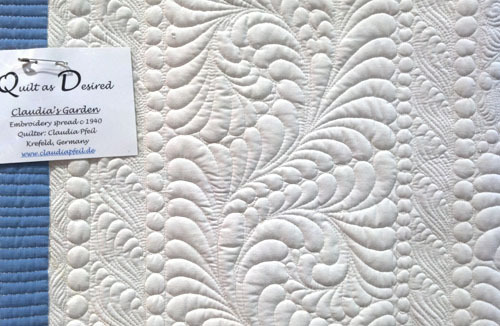 To audition a motif on your quilt, consider purchasing a small piece of plexiglass to use as a “doodle cloth.” Position the plexiglass over the area to be quilted and draw the design. Our BERNINA family is busily testing the BERNINA Long Arm machine…stay tuned for highlights from our time in Steckborn.